Up on Sinai, Moses saw a vision of God writing the Torah—this is how Moses himself composed the Torah, as he was shown what to inscribe by God—and he saw God adding the little tagim, the crowns that adorn certain Torah letters. Moses was puzzled by the crowns, and asked why there were necessary. God replied that in the future Rabbi Akiva would extract endless insights from these little crowns. Moses then asked to see Rabbi Akiva, and was permitted to sit in on his class. Moses could not follow the discussion! In fact, the Talmud later says how Moses asked God: “You have such a great man, yet you choose to give the Torah through me?” At the end of the lesson, Rabbi Akiva’s students ask him where he got that particular law from, and he replied that it comes from Moses at Sinai. Moses was comforted to know that even what Rabbi Akiva would teach centuries later is based on the Torah that Moses would compose and deliver to Israel. This amazing story is often told to affirm that all aspects of Torah, both Written and Oral, and those lessons extracted by the Sages and rabbis, stems from the Divine Revelation at Sinai, and from Moses’ own teachings. It is a central part of Judaism that everything is transmitted in a chain starting from Moses at Sinai, down through the prophets, to the Anshei Knesset HaGedolah, the “Men of the Great Assembly” and to earliest rabbis, all the way through to the present time. What is usually not discussed about this story, though, is the deeper and far more perplexing notion that Moses travelled through time! The Talmud does not say that Moses saw a vision of Rabbi Akiva; it says that he literally went and sat in his classroom. He was there, sitting inconspicuously at the end of the eighth row. As a reminder, Moses received the Torah in the Hebrew year 2448 according to tradition, which is 3331 years ago. Rabbi Akiva, meanwhile, was killed during the Bar Kochva Revolt, 132-136 CE, less than 2000 years ago. How did Moses go 1400 years into the future? Moshe Rabbeinu, peace be upon him, while standing on the mountain forty days and forty nights, from the great delight that he had learning Torah from the Mouth of the Great One, did not feel any movement, and time did not affect him at all. 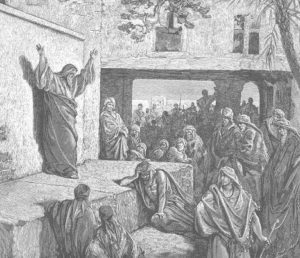 As we read at the end of this week’s parasha, Moses “was there with God for forty days and forty nights; he ate no bread and drank no water, and He inscribed upon the tablets the words of the Covenant…” (Exodus 34:28) At Sinai, Moses had no need for any bodily functions. Rabbi Duran explains that from his Divine union with God, Moses transcended the physical realm. In such a God-like state, he was no longer subject to the limitations of time and space. From the perspective of a photon, there is no such thing as time. It’s emitted, and might exist for hundreds of trillions of years, but for the photon, there’s zero time elapsed between when it’s emitted and when it’s absorbed again. It doesn’t experience distance either. 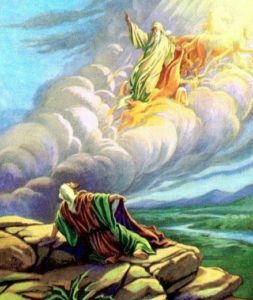 And it came to pass when Moses descended from Mount Sinai, and the Two Tablets of the Testimony were in Moses’ hand when he descended from the mountain, and Moses did not know that the skin of his face had become radiant while He had spoken with him. And Aaron and all the children of Israel saw Moses, and behold, the skin of his face had become radiant, and they were afraid to come near him… When Moses had finished speaking with them, he placed a covering over his face. Moses glowed with a bright light, so much so that the people couldn’t look at him, and he would wear a mask over his face. Moses had become light. And light doesn’t experience time and space like we do. There is something divine about light. It therefore isn’t surprising that the Kabbalists referred to God as Or Ain Sof, “light without end”, an infinite light, or simply Ain Sof, the “Infinite One”. Beautifully, the gematria of Ain Sof (אין סוף) is 207, which is equal to light (אור)! Honi sat down to have a meal and sleep overcame him. As he slept a rocky formation enclosed upon him which hid him from sight and he continued to sleep for seventy years. When he awoke he saw a man gathering the fruit of the carob tree and he asked him: “Are you the man who planted the tree?” The man replied: “I am his grandson.” Thereupon he exclaimed: “It is clear that I slept for seventy years!” He then caught sight of his donkey who had given birth to several generations of mules, and he returned home. He there enquired: “Is the son of Honi the Circle-Drawer still alive?” The people answered him: “His son is no more, but his grandson is still living.” Thereupon he said to them: “I am Honi the Circle-Drawer”, but no one would believe him. “Honi HaMeagel”, by Huvy. 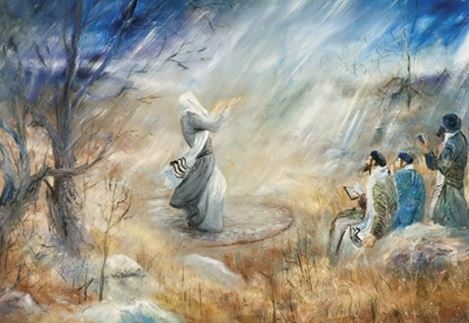 Honi is famous for drawing a circle in the ground around him and not moving away until God would make it rain. Josephus wrote that Honi was killed during the Hasmonean civil war, around 63 BCE. The Maharsha (Rabbi Shmuel Eidels, 1555-1631) said that people thought he was killed in the war, but actually fell into a deep sleep as the Talmud records. 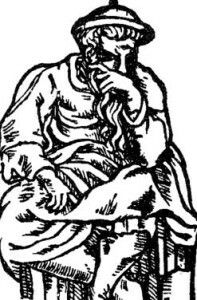 Honi HaMa’agel, “the Circle-Drawer”, who was renowned for his ability to have his prayers answered, entered a state of deep sleep for seventy years and thereby journeyed to the future! This type of time travel is, of course, not true time travel, and he was unable to go back to his own generation. He prayed for death and was promptly answered. Travelling back in time, meanwhile, presents far more interesting challenges. In 2000, scientists at Princeton University found evidence that it may be possible to exceed the speed of light. As The Guardian reported at the time, “if a particle could exceed the speed of light, the time warp would become negative, and the particle could then travel backwards in time.” This is one of several ways proposed to scientifically explain the possibility of journeying back in time. The problem with this type of travel is as follows: what happens when a person from the future changes events in the past? The result may be what is often referred to as a “time paradox” or “time loop”. The classic example is a person who goes back to a time before they were born and kills their parent. If they do so, they would never be born, so how could they go back in time to do it? Remarkably, just as I took a break from writing this, I saw that my son had brought a book from the library upstairs. Out of over 500 books to choose from, he happened to bring Harry Potter and the Prisoner of Azkaban. Now, he is far too young to have read it, or to even known who Harry Potter is. And yet, this is the one book in the Harry Potter series—and possibly the one book in our library—that presents a classic time paradox! In Prisoner of Azkaban, we read how Harry is about to be killed by a Dementor when he is suddenly saved by a mysterious figure who is, unbeknownst to him, his own future self. After recovering from the attack, he later gets his hands on a “time turner” and goes back in time. It is then that he sees his past self about to be killed by a Dementor, and saves his past self. The big problem, of course, is that Harry could have never gone back in time to save himself had he not already gone back in time to save himself in the first place! Perhaps a more famous example is James Cameron’s 1984 The Terminator. In this story, John Connor is a future saviour of humanity who is a thorn in the side of the evil, world-ruling robots. Those evil robots decide to send one of their own back to a time before John Connor was born in order to kill his mother—so that John could never be born. Aware of this, Connor sends one of his own soldiers back in time to protect his mother. The soldier and the mother fall in love, and the soldier impregnates her, giving birth to John Connor! In other words, future John Connor sent his own father back in time to protect his mother and conceive himself! This is a time paradox. Could we find such a time paradox in the Torah? At first glance, there doesn’t appear to be anything like this. However, a deeper look reveals that there may be such a case after all. In one of the most perplexing passages in the Torah, we read that when Moses took his family to head back to Egypt and save his people, “God encountered him and sought to kill him.” (Exodus 4:24) To save Moses, his wife Tziporah quickly circumcises their son, sparing her husband’s life. The standard explanation for this is that Moses’ son Eliezer was born the same day that he met God for the first time at the Burning Bush. Moses spent seven days communicating with God, then descended on the eighth day and gathered his things to go fulfil his mission. However, the eighth day is when he needed to circumcise his son, as God had already commanded his forefather Abraham generations earlier. Moses intended to have the brit milah when they would stop at a hotel along the way, but got caught up with other things. An angel appeared, threatening Moses for failing to do this important mitzvah, so Tziporah took the initiative and circumcised her son. Alternatively, some say it was the baby whose life was at risk. Whatever the case, essentially all the commentaries agree that God had sent an angel to remind Moses of the circumcision. Who was that angel? It may have been a persecuting angel, and some say he took the form of a frightening snake. 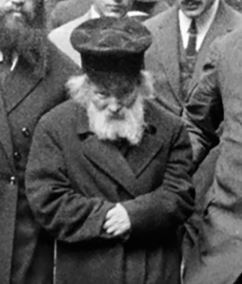 Others, like the Malbim (Rabbi Meir Leibush Weisser, 1809-1879) say it was an “angel of mercy” as Moses was entirely righteous and meritorious. Under the circumstances, one’s natural inclination might point to it being the angel in charge of circumcision, as suggested by Sforno (Rabbi Ovadiah ben Yakov, 1475-1550). Who is the angel in charge of circumcision? Eliyahu! In fact, Sforno proposes that the custom of having a special kise kavod, chair of honour, or “chair of Eliyahu” (though Sforno doesn’t say “Eliyahu” by name), might originate in this very Torah passage. Every brit milah today has such an Eliyahu chair, for it is an established Jewish tradition that the prophet-turned-angel Eliyahu visits every brit. Yet, Eliyahu could not have been there at the brit of Moses’ son, for Eliyahu would not be born for many years! Eliyahu lived sometime in the 9th century BCE. He was a prophet during the reign of the evil king Ahab and his even-more-evil wife Izevel (Jezebel). The Tanakh tells us that Eliyahu never died, but was taken up to Heaven in a fiery chariot (II Kings 2). As is well-known, he transformed into an angel. I vow that whenever My children make this sign in their flesh, you will be present, and the mouth which testified that the Jewish people have abandoned My covenant will testify that they are keeping it. He henceforth became known as malakh habrit, “angel of the covenant”, a term first used by the later prophet Malachi (3:1). If Eliyahu is Malakh haBrit, and is present at every circumcision, does this only apply to future circumcisions after his earthly life, or all circumcisions, even those before his time? As an angel that is no longer bound by physical limitations, could he not travel back in time and be present at brits of the past, too? God certainly does transcend time and space, and exists in past, present, and future all at once. This is in God’s very name, a fusion of haya, hoveh, and ihyeh, “was, is, will be”, all in one (see the Arizal’s Etz Chaim, at the beginning of Sha’ar Rishon, anaf 1). And we already saw how God could send Moses to the distant future and bring him right back to the past. Could He have sent Eliyahu back to the brit of Moses’ son? Such a scenario would result in a classic time loop. How could Eliyahu, a future Torah prophet, save Moses, the very first Torah prophet? Eliyahu could not exist without Moses! It is important to note here that there were those Sages who believed that Eliyahu was always an angel, from Creation, and came down into bodily form for a short period of time during the reign of Ahab. This is why the Tanakh does not describe Eliyahu’s origins. It does not state who his parents were, or even which tribe he hailed from. Others famously state that “Pinchas is Eliyahu”, ie. that Eliyahu was actually Pinchas, the grandson of Aaron. Pinchas was blessed with eternal life, and after leaving the priesthood, reappeared many years later as Eliyahu to save the Jewish people at a difficult time. He was taken up to Heaven alive as God promised. In the Torah, we read how God blessed Pinchas with briti shalom (Numbers 25:12). Again, that key word “brit” appears—a clue that Pinchas would become Eliyahu, malakh habrit. While it is hard to fathom, or accept, the possibility of an Eliyahu time paradox, there is one last time paradox that deserves mention. And on this time paradox, all of our Sages do agree. When we read our Sages description of the process of teshuva, “repentance”, it is hard not to notice the inherent time paradox lying within. In multiple places, our Sages state that when a person truly repents, the sins of their past are expunged from their record. They are not only erased, but it is as if they never happened to begin with. Some go further and state that not only are the sins completely erased, they transform into merits! (Yoma 86b) In other words, it is almost as if one’s soul travelled back in time and, when presented with that same challenge, actually fulfilled a mitzvah instead! It is much like the classic literary version of a hero going back in time to fix an old mistake. This is the tremendous power of teshuva. It may be the closest any of us will ever come to time travel. That same page of Talmud goes further in saying that one who truly repents lengthens one’s life. To explain, when a person sins it may be decreed in Heaven that their life will be cut short. When they repent, the sin is erased and so is the decree, so their life is re-extended. Imagine such a parallel in the physical world: a person is a smoker or heavy drinker for decades, then quits and “repents”, and all the damage done to the cells and organs of their body simply vanish. They are instantly as good as new! It doesn’t happen in the physical world, but it does in the spiritual world. Repentance for the past actually has a real impact on one’s future, rewriting one’s destiny, much like time travel. Finally, that same page of the Talmud states that one who truly repents hastens the Redemption. The Sages reaffirm countless times that the arrival of the Redemption is based solely on our merits. If Israel only “hearkens to His voice”, the Redemption would come “today” (Sanhedrin 98a). The fact that so much time has passed and Mashiach has still not come is a result of our own sins. By wholeheartedly repenting, we wipe away those sins of the past. Like time travel, this rewrites our destiny—our history—and we thereby hasten the Redemption. This entry was posted in Kabbalah & Mysticism, Midrash, Torah & Science and tagged Ahab and Jezebel, Ain Sof, Angels, Book of I Kings, Book of II Kings, Brit Milah, Chain of Transmission, Circumcision, Cryosleep, Eliezer (son of Moses), Elijah/Eliyahu, Gematria, Harry Potter, Honi HaMaagel, Ki Tisa, Light, Magen Avot, Malachi, Malbim, Mashiach, Menachot (Tractate), Moses, Mt. Sinai, Oral Torah, Paradox, Photons, Pinchas, Rabbi Akiva, Sforno, Sinai Revelation, Space Travel, Ta'anit (Tractate), Terminator, Teshuva, Time Travel, Torah and Science, Tzipporah, Yoma (Tractate), Zohar on February 19, 2019 by Efraim Palvanov. Earlier this week we discussed the necessity of the Talmud, and of an oral tradition in general, to Judaism. We presented an overview of the Talmud, and a brief description of its thousands of pages. And we admitted that, yes, there are some questionable verses in the Talmud (very few when considering the vastness of it). Here, we want to go through some of these, particularly those that are most popular on anti-Semitic websites and publications. 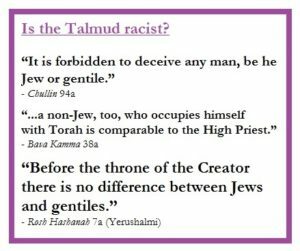 By far the most common is that the Talmud is racist or advocates for the destruction of gentiles. This is based on several anecdotes comparing non-Jews to animals, or the dictum of Rabbi Shimon bar Yochai that “the best of gentiles should be killed”. First of all, we have to be aware of the linguistic style of the Talmud, which often uses strong hyperbole that is not to be taken literally (more on this below). More importantly, we have to remember that these statements were made in a time where Jews were experiencing a tremendous amount of horrible persecution. Rabbi Shimon’s teacher, Rabbi Akiva was tortured to death by being flayed with iron combs. This is a man who never hurt anyone, who raised the status of women, sought to abolish servitude, preached that the most important law is “to love your fellow as yourself”, and taught that all men are made in God’s image (Avot 3:14). For no crime of his own, he was grotesquely slaughtered by the Romans. Rabbi Shimon himself had to hide from the Romans in a cave for 13 years with his son, subsisting off of nothing but carobs. The Jews in Sassanid Persia didn’t fare too much better. So, the anger and resentment of the Sages to their gentile oppressors sometimes come out in the pages of Talmud. Yet, the same Talmud insists “Before the throne of the Creator there is no difference between Jews and gentiles.” (TY Rosh Hashanah 57a). Moreover, a non-Jew who is righteous, and occupies himself with law and spirituality, is likened to a kohen gadol, the high priest (Bava Kamma 38a). Anti-Semitic and Anti-Talmudic websites like to bring up the case of Elazar ben Durdya, of whom the Talmud states “there was not a prostitute in the world” that he did not sleep with (Avodah Zarah 17a). Taking things out of context, what these sites fail to bring up is that the Talmud, of course, does not at all condone Elazar’s actions. In fact, the passage ends with Elazar realizing his terribly sinful ways, and literally dying from shame. Another disgusting accusation is that the Talmud permits pederasty (God forbid). In reality, what the passage in question (Sanhedrin 54b) is discussing is when the death penalty for pederasty should be applied, and at which age a child is aware of sexuality. Nowhere does it say that such a grotesque act is permitted. The Sages are debating a sensitive issue of when a death penalty should be used. Shmuel insists that any child over the age of three is capable of accurately “throwing guilt” upon another, and this would be valid grounds for a death penalty. Elsewhere, the Talmud states that not only do pederasts deserve to be stoned to death, but they “delay the coming of the Messiah” (Niddah 13b). The Talmud is similarly accused of allowing a three year old girl to be married. This is also not the whole picture. A father is allowed to arrange a marriage for his daughter, but “it is forbidden for one to marry off his daughter when she is small, until she grows up and says ‘this is the one I want to marry.’” (Kiddushin 41a) Indeed, we don’t see a single case of any rabbi in the Talmud marrying a minor, or marrying off their underage daughter. Related discussions appear in a number of other pages of the Talmud. In one of these (Yevamot 60b), Rabbi Shimon bar Yochai states that a girl who was converted to Judaism before three years of age is permitted to marry a kohen, although kohanim are generally forbidden from marrying converts. This, too, has been twisted as if Rabbi Shimon allowed a kohen to marry a three-year old. He did not say this at all, rather stating that a girl under three who is converted to Judaism (presumably by her parents, considering her young age) is actually not considered a convert but likened to a Jew from birth. Once again we see the importance of proper context. You must not expect that everything our Sages say respecting astronomical matters should agree with observation, for mathematics were not fully developed in those days: and their statements were not based on the authority of the Prophets, but on the knowledge which they either themselves possessed or derived from contemporary men of science. Some scientific statements of the Talmud which have been proven wrong include: The earth’s crust is 1000 cubits thick (Sukkot 53b)—today we have mines that go down four kilometres, which is well over 5000 cubits at least! Lions, bears, and elephants have a gestation period of three years (Bekhorot 8a)—while the Talmud is right by previously stating that cows have a nine-month gestation period, lions actually have gestation of 110 days, bears of 95-220 days depending on the species, and elephants of 22 months. … twelve constellations have I created in the firmament, and for each constellation I have created thirty hosts, and for each host I have created thirty legions, and for each legion I have created thirty cohorts, and for each cohort I have created thirty maniples, and for each maniple I have created thirty camps, and to each camp I have attached three hundred and sixty-five thousands of myriads of stars, corresponding to the days of the solar year, and all of them I have created for your sake. Doing the math brings one to 1018 stars. This number was hard to fathom in Talmudic times, and even more recently, too (I personally own a book published in the 1930s which states that scientists estimate there are about a million stars in the universe), yet today scientists calculate similar numbers, with one estimate at 1019 stars. When it comes to historical facts the Talmud, like most ancient books, is not always accurate. Historical knowledge was extremely limited in those days. There was no archaeology, no linguistics, and no historical studies departments; neither were there printing presses or books to easily preserve or disseminate information. This was a time of fragile and expensive scrolls, typically reserved for Holy Scriptures. All in all, the Talmud doesn’t speak too much of history. Some of its reckonings of kings and dynasties are certainly off, and this was recognized even before modern scholarship. For example, Abarbanel (1437-1508) writes of the Talmud’s commentaries on the chronology in Daniel that “the commentators spoke falsely because they did not know the history of the monarchies” (Ma’ayanei HaYeshua 11:4). The Talmud has also been criticised for exaggerating historical events. In one place (Gittin 57b), for instance, the Talmud suggests that as many as four hundred thousand myriads (or forty billion) Jews were killed by the Romans in Beitar. This is obviously impossible, and there is no doubt the rabbis knew that. It is possible they did not use the word “myriads” to literally refer to 10,000 (as is usually accepted) but simply to mean “a great many”, just as the word is commonly used in English. If so, then the Talmud may have simply meant 400,000 Jews, which is certainly reasonable considering that Beitar was the last stronghold and refuge of the Jews during the Bar Kochva Revolt. 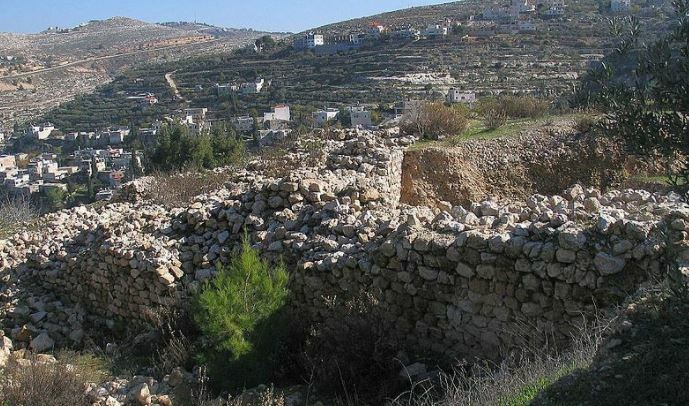 Archaeological remains of the Beitar fortress. Either way, as already demonstrated the Talmud is known to use highly exaggerated language as a figure of speech. It is not be taken literally. This is all the more true for the stories of Rabbah Bar Bar Chanah, which are ridiculed for their embellishment. Bar Bar Chanah’s own contemporaries knew it, too, with Rabbi Shimon ben Lakish even refusing to take his helping hand while nearly drowning in the Jordan River! (Yoma 9b) Nonetheless, the Talmud preserves his tall tales probably because they carry deeper metaphorical meanings. We know from historical sources that Alexander conquered Israel around 331 BCE. The Maccabees threw off the yoke of the Greeks around 160 BCE, and Simon Maccabee officially began the Hasmonean dynasty in 142 BCE. That comes out to between 171 and 189 years of Greek rule, depending on where one draws the endpoint, right in line with the Talmud’s 180 years. The Hasmoneans went on to rule until 37 BCE, when Herod took over—that’s 105 years, compared to the Talmud’s 103 years. And the Temple was destroyed in 70 CE, making Herodian rule over the Temple last about 107 years. 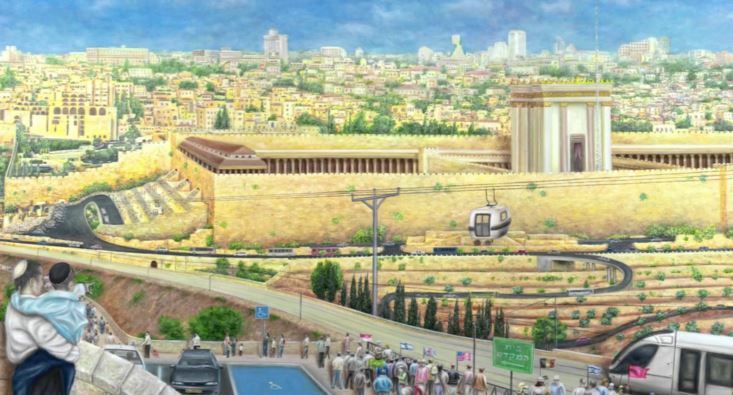 We also know that Rome recognized the Hasmonean Jewish state around 139 BCE, taking a keen interest in the Holy Land thereafter, and continuing to be involved in its affairs until officially taking over in 63 BCE. They still permitted the Hasmoneans and Herodians to “rule” in their place until 92 CE. Altogether, the Romans loomed over Jerusalem’s Temple for about 209 years; the Talmud states 206 years. Considering that historians themselves are not completely sure of the exact years, the Talmud’s count is incredibly precise. Lastly, it is important never to forget that the Talmud is not the code of Jewish law, and that Judaism is far, far more than just the Talmud. There are literally thousands of other holy texts. Jews do not just study Talmud, and even centuries ago, a Jew who focused solely on Talmud was sometimes disparagingly called a hamor d’matnitin, “Mishnaic donkey”. The Talmud itself states (Kiddushin 30a) that one should spend a third of their time studying Tanakh, a third studying Mishnah (and Jewish law), and a third studying Gemara (and additional commentary). The Arizal prescribes a study routine that begins with the weekly parasha from the Five Books of Moses, then progresses to the Nevi’im (Prophets) and Ketuvim, then to Talmud, and finally to Kabbalah (see Sha’ar HaMitzvot on Va’etchanan). He also states emphatically that one who does not study all aspects of Judaism has not properly fulfilled the mitzvah of Torah study. A Torah scroll in its Sephardic-style protective case, with crown. Those who claim that Jews have replaced the Tanakh with the Talmud are entirely mistaken: When Jews gather in the synagogue, we do not take out the Talmud from the Holy Ark, but a scroll of Torah. It is this Torah which is so carefully transcribed by hand, which is adorned with a crown to signify its unceasing authority, and before which every Jew rises. After the Torah reading, we further read the Haftarah, a selection from the Prophets. At no point is there a public reading of Talmud. As explained previously, the Talmud is there to help us understand the Tanakh, and bring it to life. Ultimately, one has to remember that the Talmud is a continuing part of the evolution of Judaism. We wrote before how we were never meant to blindly follow the Torah literally, but rather to study it, develop it, grow together with it, and extract its deeper truths. The same is true of the Talmud—the “Oral” Torah—and of all others subjects within Judaism, including Midrash, Kabbalah, and Halacha. Judaism is constantly evolving and improving, and that’s the whole point. For more debunking of lies and myths about the Talmud, click here. This entry was posted in Archaeology & History, Jewish Law & Life Cycle, Torah & Science and tagged Abarbanel, Alexander the Great, Am HaAretz, Anti-Semitism, Archaeology, Arizal, Astronomy, Avodah Zarah (Tractate), Avot d'Rabbi Natan, Bar Kochva Revolt, Beitar, Berakhot (Tractate), Biblical Chronology, Book of Jeremiah, Christianity, Convert, Death Penalty, Elazar ben Dordya, Gentiles, Gittin (Tractate), Greeks, Haftarah, Hashmoneans, Herod, History, Jewish Law, Jordan River, Kiddushin (Tractate), Kohen, Medicine, Midrash Tanchuma, Morality, New Testament, Niddah (Tractate), Oral Torah, Oral Tradition, Persecution, Pesachim (Tractate), Pirkei Avot, Psalms, Rabbah Bar Bar Chanah, Rabbi Akiva, Rabbi Shimon bar Yochai, Rabbi Shmuel bar Nachmani, Rambam, Rav Sherira Gaon, Reish Lakish, Romans, Rosh Hashanah (Tractate), Sanhedrin (Tractate), Science, Second Temple, Seleucids, Shmuel, Simon Maccabee, Sukkah (Tractate), Synagogue, Ta'anit (Tractate), Talmud, Talmud Yerushalmi, Tanakh, Torah and Science, Torah Scholars, Torah Study, Water Cycle, Yevamot (Tractate), Yoma (Tractate) on February 8, 2018 by Efraim Palvanov. The Talmud (Berakhot 5a) comments on this that the “Tablets” refers to the Ten Commandments, the “Torah” refers to the Five Books of Moses, the “mitzvah” is the Mishnah, “that I have written” are the books of the Prophets and Holy Writings, and “that you may teach them” is the Talmud. The Mishnah is the major corpus of ancient Jewish oral law, and the Talmud, or Gemara, is essentially a commentary on the Mishnah, with a deeper exposition and derivation of its laws. 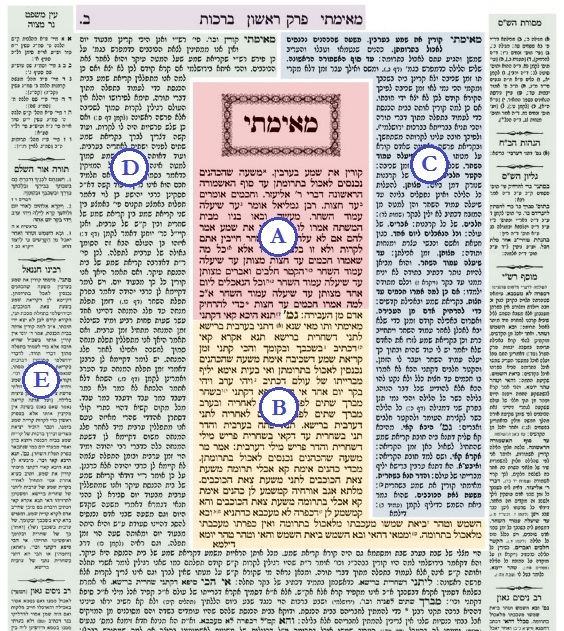 Today, the Mishnah is printed together with the corresponding Gemara, along with multiple super-commentaries laid out all around the page, and this whole is typically referred to as “Talmud”. Anatomy of a page of Talmud: (A) Mishnah, (B) Gemara, (C) Commentary of Rashi, Rabbi Shlomo Itzchaki, 1040-1105, (D) Tosfot, a series of commentators following Rashi, (E) various additional commentaries around the edge of the page. In the past, we’ve written how many have rejected the Talmud, starting with the ancient Sadducees, later the Karaites (whom some consider to be the spiritual descendants of the Sadducees), as well as the Samaritans, and many modern-day Jews whether secular or Reform. Such groups claim that either there was never such a thing as an “oral tradition” or “oral law”, or that the tradition is entirely man-made with no divine basis. Meanwhile, even in the Orthodox Jewish world there are those who are not quite sure what the Talmud truly is, and how its teachings should be regarded. It is therefore essential to explore the origins, development, importance, and necessity of the Talmud. There are many ways to prove that there must be an oral tradition or Oral Torah. From the very beginning, we read in the Written Torah how God forged a covenant with Abraham, which passed down to Isaac, then Jacob, and so on. There is no mention of the patriarchs having any written text. These were oral teachings being passed down from one generation to the next. Later, the Written Torah was given through the hand of Moses, yet many of its precepts are unclear. Numerous others do not seem to be relevant for all generations, and others still appear quite distasteful if taken literally. We have already written in the past that God did not intend for us to simply observe Torah law blindly and unquestioningly. (See ‘Do Jews Really Follow the Torah?’ in Garments of Light.) Rather, we are meant to toil in its words and extract its true meanings, evolve with it, and bring the Torah itself to life. The Torah is not a reference manual that sits on a shelf. It is likened to a living, breathing entity; a “tree of life for those who grasp it” (Proverbs 3:18). Indeed, this is what Joshua commanded the nation: “This Torah shall not leave your mouth, and you shall meditate upon it day and night, so that you may observe to do like all that is written within it” (Joshua 1:8). Joshua did not say that we must literally observe all that is written in it (et kol hakatuv bo), but rather k’khol hakatuv bo, “like all that is written”, or similar to what is written there. We are not meant to simply memorize its laws and live by them, but rather to continuously discuss and debate the Torah, and meditate upon it day and night to derive fresh lessons from it. Similarly, Exodus 34:27 states that “God said to Moses: ‘Write for yourself these words, for according to these words I have made a covenant with you and with Israel.’” Firstly, God told Moses to write the Torah for yourself, and would later remind that lo b’shamayim hi, the Torah “is not in Heaven” (Deuteronomy 30:12). It was given to us, for us to dwell upon and develop. Secondly, while the words above are translated as “according to these words”, the Hebrew is al pi hadevarim, literally “on the mouth”, which the Talmud says is a clear allusion to the Torah sh’be’al peh, the Oral Torah, literally “the Torah that is on the mouth”. It is evident that by the start of the Common Era, Jews living in the Holy Land observed a wide array of customs and laws which were not explicitly mentioned in the Torah, or at least not explained in the Torah. 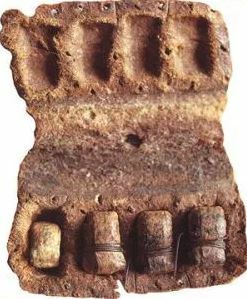 For example, tefillin was quite common, and they have been found in the Qumran caves alongside the Dead Sea Scrolls (produced by a fringe Jewish group, likely the Essenes) and are even mentioned in the “New Testament”. Yet, while the Torah mentions binding something upon one’s arm and between one’s eyes four times, it does not say what these things are or what they look like. Naturally, the Sadducees (like the Karaites) did not wear tefillin, and understood the verses metaphorically. At the same time, though, the Sadducees (and the Karaites and Samaritans) did have mezuzot. Paradoxically, they took one verse in the passage literally (Deuteronomy 6:9), but the adjoining verse in the same passage (Deuteronomy 6:8) metaphorically! This is just one example of many. The reality is that an oral tradition outside of the Written Law is absolutely vital to Judaism. Indeed, most of those anti-oral law groups still do have oral traditions and customs of their own, just not to the same extent and authority of the Talmud. Regardless, after the massive devastation wrought by the Romans upon Israel during the 1st and 2nd centuries CE, many rabbis felt that the Oral Torah must be written down or else it might be lost. After the Bar Kochva Revolt (132-136 CE), the Talmud suggests there were less than a dozen genuine rabbis left in Israel. Judaism had to be rebuilt from the ashes. Shortly after, as soon as an opportunity presented itself, Rabbi Yehuda haNasi (who was very wealthy and well-connected) was able to put the Oral Torah into writing, likely with the assistance of fellow rabbis. The result is what is known as the Mishnah, and it was completed by about 200 CE. The Mishnah is organized into six orders, which are further divided up into tractates. Zera’im (“Seeds”) is the first order, with 11 tractates mainly concerned with agricultural laws; followed by Mo’ed (holidays) with 12 tractates discussing Shabbat and festivals; Nashim (“Women”) with 7 tractates focusing on marriage; Nezikin (“Damages”) with 10 tractates of judicial and tort laws; Kodashim (holy things) with 11 tractates on ritual laws and offerings; and Tehorot (purities) with 12 tractates on cleanliness and ritual purity. The root of the word “Mishnah” means to repeat, as it had been learned by recitation and repetition to commit the law to memory. Some have pointed out that Rabbi Yehuda haNasi may have used earlier Mishnahs compiled by Rabbi Akiva and one of his five remaining students, Rabbi Meir, who lived in the most difficult times of Roman persecution. Considering the circumstances of its composition, the Mishnah was written in short, terse language, with little to no explanation. It essentially presents only a set of laws, usually with multiple opinions on how each law should be fulfilled. To explain how the laws were derived from the Written Torah, and which opinions should be given precedence, another layer of text was necessary. Gemara, from the Aramaic gamar, “to study” (like the Hebrew talmud), is that text which makes sense of the Mishnah. It was composed over the next three centuries, in two locations. 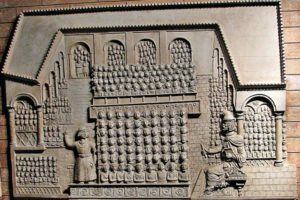 Rabbis in the Holy Land produced the Talmud Yerushalmi, also known as the Jerusalem or Palestinian Talmud, while the Sages residing in Persia (centred in the former Babylonian territories) produced the Talmud Bavli, or the Babylonian Talmud. The Yerushalmi was unable to be completed as the persecutions in Israel reached their peak and the scholars could no longer continue their work. The Bavli was completed around 500, and its final composition is attributed to Ravina (Rav Avina bar Rav Huna), who concluded the process started by Rav Ashi (c. 352-427 CE) two generations earlier. While incomplete, the Yerushalmi also has much more information on the agricultural laws, which were pertinent to those still living in Israel. In Persia, and for the majority of Jews living in the Diaspora, those agricultural laws were no longer relevant, so the Bavli does not have Gemaras on these Mishnaic tractates. Because the Yerushalmi was incomplete, and because it also discussed laws no longer necessary for most Jews, and because the Yerushalmi community was disbanded, it was ultimately the Talmud Bavli that became the dominant Gemara for the Jewish world. To this day, the Yerushalmi is generally only studied by those who already have a wide grasp of the Bavli. The Talmud is far more than just an exposition on the Mishnah. It has both halachic (legal) and aggadic (literary or allegorical) aspects; contains discussions on ethics, history, mythology, prophecy, and mysticism; and speaks of other nations and religions, science, philosophy, economics, and just about everything else. It is a massive repository of wisdom, with a total of 2,711 double-sided pages (which is why the tractates are cited with a page number and side, for example Berakhot 2a or Shabbat 32b). 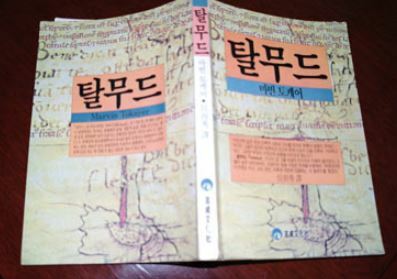 This typically translates to about 6,200 normal pages in standard print format. 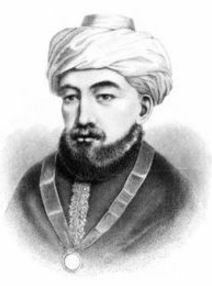 (Credit: Sefaria.org) It is said of the Vilna Gaon (Rabbi Eliyahu Kramer, 1720-1797) that past a certain age he only studied Tanakh, as he knew how to derive all of Judaism, including all of the Talmud, from it. Indeed, it is difficult to properly grasp the entire Tanakh (which has its own host of apparent contradictions and perplexing passages) without the commentary of the Talmud. Once again, it is the Talmud that brings the Tanakh to life. Misunderstanding this, Jews have been accused in the past of abandoning Scripture in favour of the Talmud. This was a popular accusation among Christians in Europe. It is not without a grain of truth, for Ashkenazi Jews did tend to focus on Talmudic studies and less on other aspects of Judaism, Tanakh included. Meanwhile, the Sephardic Jewish world was known to be a bit better-rounded, incorporating more scriptural, halachic, and philosophical study. Sephardic communities also tended to be more interested in mysticism, producing the bulk of early Kabbalistic literature. Ashkenazi communities eventually followed suit. Ironically, so did many Christian groups, which eagerly embraced Jewish mysticism. Christian Knorr von Rosenroth (1636-1689) translated portions of the Zohar and Arizal into Latin, publishing the best-selling Kabbalah Denudata. Long before him, the Renaissance philosopher Pico della Mirandola (1463-1494), one of Michelangelo’s teachers, styled himself a “Christian Kabbalist”, as did the renowned scholar Johann Reuchlin (1455-1522). Meanwhile, Isaac Newton’s copy of the Zohar can be still found at Cambridge University. It is all the more ironic because Kabbalah itself is based on Talmudic principles, as derived from the Tanakh. For example, the central Kabbalistic concept of the Ten Sefirot is first mentioned in the Talmudic tractate of Chagigah (see page 12a), which also outlines the structure of the Heavenly realms. The Talmud is first to speak of the mystical study of Ma’aseh Beresheet (“Mysteries of Creation”) and Ma’aseh Merkavah (“Mysteries of the Divine Chariot”), of Sefer Yetzirah, of spiritual ascent, of how angels operate, and the mechanics of souls. Having said all that, the Talmud is far from easy to navigate. While it contains vast riches of profound wisdom and divine information, it also has much that appears superfluous and sometimes outright boring. In fact, the Talmud (Sanhedrin 24a) itself admits that it is not called Talmud Bavli because it was composed in Babylon (since it really wasn’t) but because it is so mebulbal, “confused”, the root of Bavli, or Babel. There is one more accusation commonly directed at the Talmud. This is that the Talmud contains racist or xenophobic language, or perhaps immoral directives, or that it has many flaws and inaccuracies, or that it contains demonology and sorcery. Putting aside deliberate mistranslations and lies (which the internet is full), the truth is that, taken out of context, certain rare passages in the vastness of the Talmud may be read that way. Again, the same is true for the Written Torah itself, where Scripture also speaks of demons and sorcery, has occasional xenophobic overtones, apparent contradictions, or directives that we today recognize as immoral. First of all, it is important that things are kept in their historical and textual context. Secondly, it is just as important to remember that the Talmud is not the code of Jewish law. (That would be the Shulchan Arukh, and others.) The Talmud presents many opinions, including non-Jewish sayings of various Roman figures, Greek philosophers, and Persian magi. Just because there is a certain strange statement in the Talmud does not mean that its origin is Jewish, and certainly does not mean that Jews necessarily subscribe to it. Even on matters of Jewish law and custom, multiple opinions are presented, most of which are ultimately rejected. The Talmud’s debates are like a transcript of a search for truth. False ideas will be encountered along the way. The Talmud presents them to us so that we can be aware of them, and learn from them. And yes, there are certain things in the Talmud—which are not based on the Torah itself—that may have become outdated and disproven. This is particularly the case with the Talmud’s scientific and medical knowledge. While much of this has incredibly stood the test of time and has been confirmed correct by modern science, there are others which we know today are inaccurate. This isn’t a new revelation. Long ago, Rav Sherira Gaon (c. 906-1006) stated that the Talmudic sages were not doctors, nor were they deriving medical remedies from the Torah. They were simply giving advice that was current at the time. The Rambam held the same (including Talmudic astronomy and mathematics under this category, see Moreh Nevuchim III, 14), as well as the Magen Avraham (Rabbi Avraham Gombiner, c. 1635-1682, on Orach Chaim 173:1) and Rav Shimshon Raphael Hirsch. One of the major medieval commentaries on the Talmud, Tosfot, admits that nature changes over time, which is why the Talmud’s science and medicine may not be accurate anymore. Nonetheless, there are those who maintain that we simply do not understand the Talmud properly—and this is probably true as well. Whatever the case, the Talmud is an inseparable part of the Torah, and an integral aspect of Judaism. Possibly the greatest proof of its significance and divine nature is that it has kept the Jewish people alive and flourishing throughout the difficult centuries, while those who rejected the Oral Torah have mostly faded away. The Talmud remains among the most enigmatic texts of all time, and perhaps it is this mystique that brings some people to fear it. Thankfully, knowledge of the Talmud is growing around the world, and more people than ever before are taking an interest in, and benefitting from, its ancient wisdom. This entry was posted in Archaeology & History, Jewish Law & Life Cycle, Mysteries & Origins, Torah & Science and tagged Ashkenazi and Sephardi, Babel, Bar Kochva Revolt, Ben Bag Bag, Berakhot (Tractate), China, Christian Knorr von Rosenroth, Christianity, Dead Sea Scrolls, Essenes, Gemara, Guide for the Perplexed, Isaac Newton, Japan, Jewish Law, Johann Reuchlin, Joshua, Kabbalah, Kabbalah Denudata, Karaite Judaism, Korea, Magen Avraham, Medicine, Mezuzah, Michelangelo, Midrash, Mishnah, Mishpatim (parasha), Moses, Olympics, Oral Torah, Oral Tradition, Pico della Mirandola, Pirkei Avot, Proverbs, Qumran, Rabbi Akiva, Rabbi Meir, Rabbi Yehudah HaNasi, Rabbinic Interpretation, Rabbinic Judaism, Rambam, Rav Ashi, Rav Sherira Gaon, Rav Shimshon Raphael Hirsch, Ravina, Renaissance, Romans, Sadducees, Samaritans, Sanhedrin (Tractate), Scripture, Sefirot, Shulchan Arukh, Talmud, Tanakh, Tefillin, Tosafot, Two Tablets on February 5, 2018 by Efraim Palvanov.